These are super easy and SO delish. 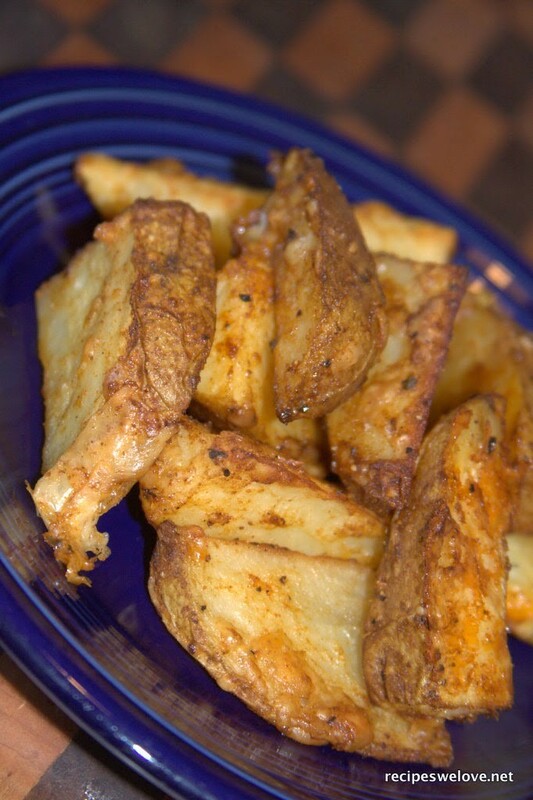 My husband thinks he needs potatoes at every meal and I am always looking for ways to mix things up a bit. And these are a keeper. This recipes serves 4. Throw everything into a plastic bag and shake until the wedges are coated well. Then empty the contents of the bag onto a roasting pan and spread the wedges out in one layer. 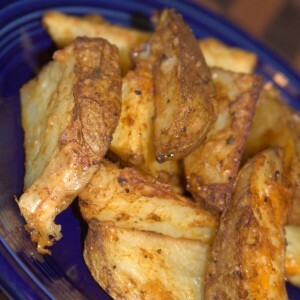 Then bake at 400 degrees for about 30 minutes until the wedges are tender and the cheese begins to turn brown. Prosciutto & Parmesan Loaded Baked Potato with Micro Greens… So Easy and Delish!